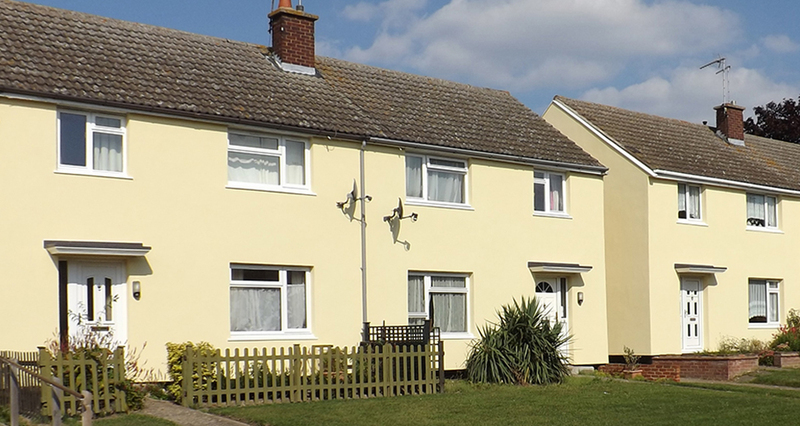 In 2013, having won a place on the Fusion 21 procurement framework, SBS was appointed by Havebury Housing Partnership to install solid wall insulation to social housing stock in Haverhill and Bury St Edmonds. Carried out in two phases, the work entailed treating a total of 172 No-Fines properties. The intention was to improve the thermal efficiency of the Partnership's non-traditional housing stock and to protect the properties in order to increase their longevity. 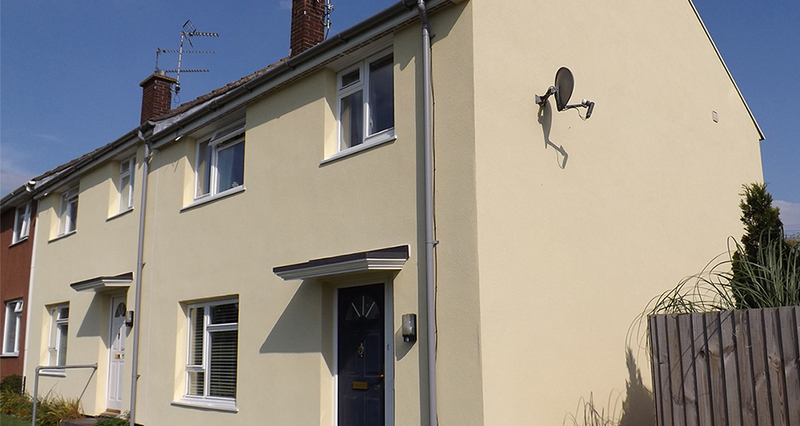 The chosen insulation system was PermaRock EPS-Premium EWI System with SiliconeUltra K Finish - an attractive, high performance solution that substantially improved heat retention, reduced air permeability and afforded complete weatherproof protection for the walls. 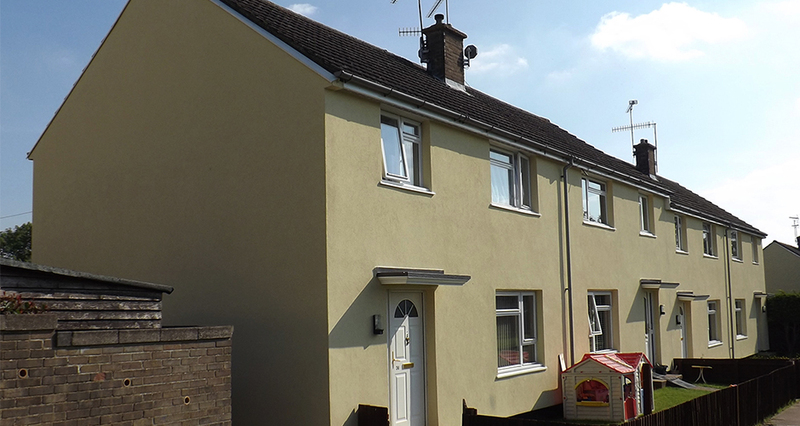 In order to extend the same energy efficiency benefits to others within the community, SBS worked with Havebury Housing Partnership and the local council to offer solid wall insulation services to private homeowners. SBS launched an intensive marketing campaign in the area to promote the works, using a combination of advertising in local newspapers and public open days, which were held county-wide. Another objective was to use the scheme to create employment and supply chain opportunities within the local community. At an early stage, SBS therefore established site compounds in both Haverhill and Bury St Edmonds. Used for material storage and deliveries, these created immediate job opportunities. Between 2013 and 2015, SBS delivered improvements to all 172 of the social housing properties, completing the works on time and on budget. 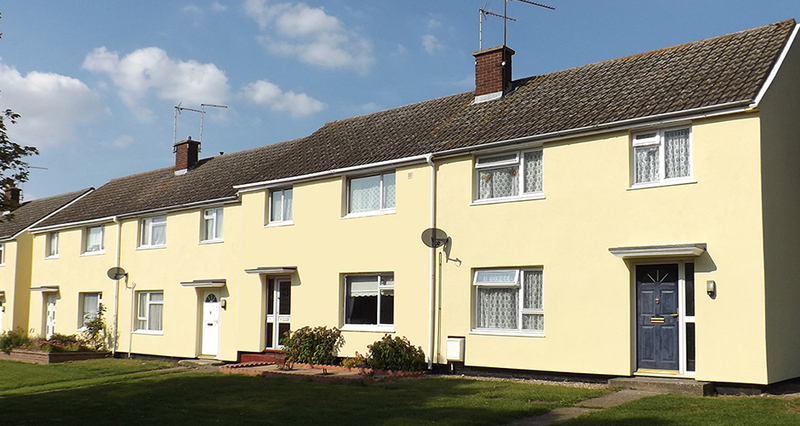 In addition, the company was able to deliver similar solid wall insulation improvements to 60 private homes across Suffolk, approximately 40 of which were on the estates where it was already delivering work for Havebury Housing Partnership. Private homeowners were able to take advantage of all the economies of scale resulting from the fact that SBS workers, materials and supply chain partners were already working in the local community. This, in itself, yielded notable savings, but affordability was enhanced by two further forms of support. Firstly, SBS enabled residents to take advantage of Green Deal Home Improvement Funding. Secondly, SBS introduced residents to its own, FCA-regulated private finance scheme. 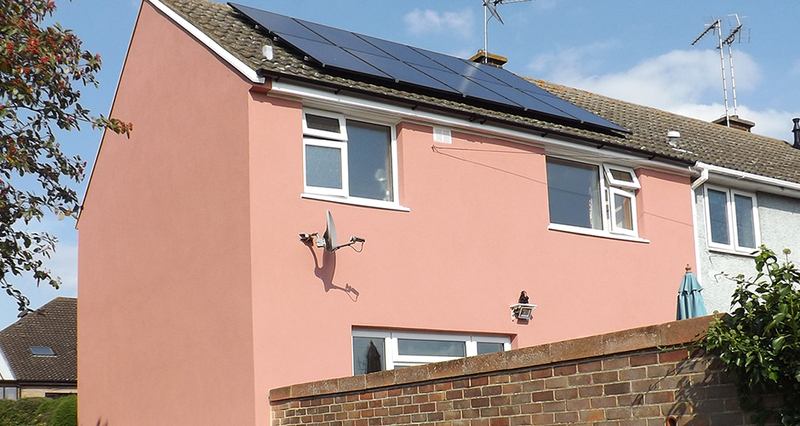 Delivered through a unique partnership with Barclays Partner Finance, it offered homeowners 0% finance on a range of works including all energy efficiency measures and related adaptations. SBS administered the scheme to make the whole process of applying for and claiming the finance as simple and trouble-free as possible. The scheme was also successful in terms of creating local employment. Ultimately, more than 50 local operatives were appointed to help deliver the schemes, and tenant liaison officers were appointed from within the relevant estates to assist with local community engagement and communications.